RESERVE BANK OF INDIA SERVICES BOARD, MUMBAI Reserve Bank of India RBI Recruitment Notification 2016 pplications are invited for the post mentioned below in Reserve Bank of India (RBI/Bank) from Indian citizens, citizens of Nepal and subjects of Bhutan, persons of Indian origin who have migrated from Myanmar and Sri Lanka with the intention of permanently settling in India and in whose favour Eligibility Certificates have been issued by Government of India. Candidates have to apply only online through the Bank's website i.e. www.rbi.org.in from 19/07/2016 to 09/08/2016. No other means/mode of applications will be accepted. Detailed instructions for applying online are available on the website. (ii) Keep the necessary details/documents ready to make online payment of the requisite application fee/intimation charges. The candidate is required to keep details about bio-data/necessary details ready to enable him/her to fill up the application form correctly and to make online payment of fees/intimation charges. The name of the candidate or his/her father/mother/husband, etc. should be spelt correctly in the application as it appears in the certificates/mark sheets. (iii) Candidates should have a valid E-mail ID which should be kept active till the declaration of final result. This is essential for him/her in getting communication/interview advice, etc. by E-mail. No change in E-mail ID will be entertained during the entire process of the recruitment. (i) Candidates satisfying the conditions of eligibility as on July 1, 2016 are first required to visit the URL “Recruitment for the post of “Officers in Grade ’B’ for DEPR and DSIM” on Bank's website i.e. 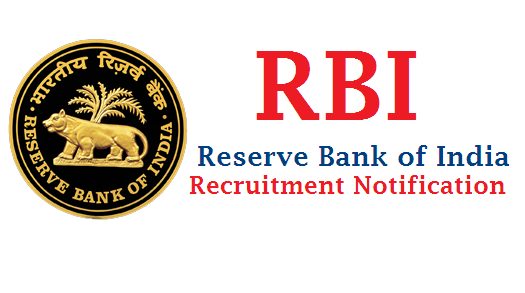 www.rbi.org.in >Opportunities@RBI >Current Vacancies > Vacancies and click on the hyperlink “Applications (Apps)” in the Advertisement page for filling the ‘Online Application’. It redirects the candidates to the online registration page.